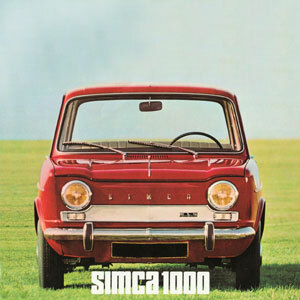 The Simca 1000 (1961-1978) workshop manual is scanned from an original Simca workshop book which was in a superb state. This workshop manual does have a total of 356 pages. Each section contains practical disassembly, repair and assembly procedures. To have a convenient navigation through the file, a handy menu structure is created at the left side of the file. Beside this menu, there is also the possibility to use the original "menu" on the right side of the index page to navigate through the file. For the opening of the PDF parts book, Adobe Acrobat Reader is recommended. Adobe Reader can be downloaded freely from the Adobe website here. If the PDF spare parts file is opened in a web browser, the menu will not show up, and some of the pages may appear distorted.